This coffee is our little bit of luxury! When you taste it. you’ll know what we mean. 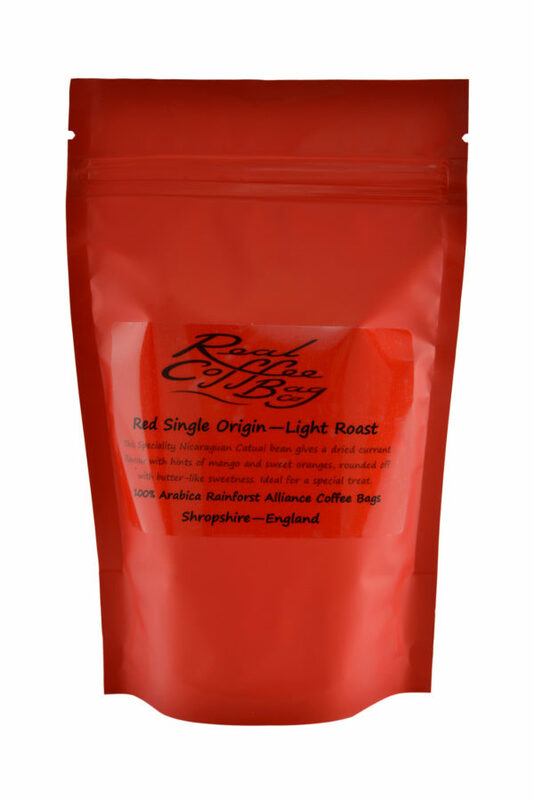 It is a light roast with delicious flavours of chocolate and almonds – a lovely evening coffee! This coffee comes in 2 different pouch sizes. You can choose the size you need from 15 or 100 Coffee Bags. 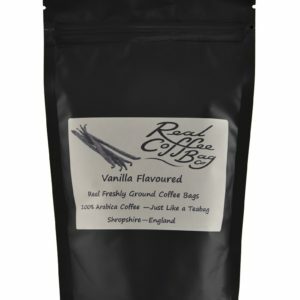 All of our Pouches are resealable, so that your coffee remains fresh for as long as possible. 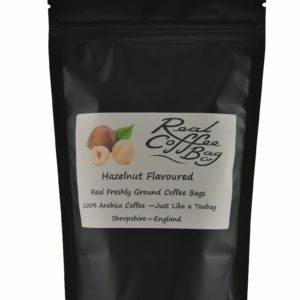 It also means that you can take your coffee with you to the office, or away on holiday, and coffee will stay fresh providing you keep your pouch sealed. Taste Notes The light roast of these Caturra and Bourbon Arabicas gives an aroma of sweet caramel. The medium body gives a bittersweet chocolate and almond nutty notes ending medium grapefruit acidity. Origins of the Beans This Nicaraguan SHG EP Arabica comes from the mountainous northwest region of Nicaragua, the Jinotega. It is Strictly High Growth coffee meaning that the coffee was grown at high altitudes, which allows the bean to develop slower, resulting in a denser high-quality bean. In addition, the EP stands for European Preparation – a further sorting of the green coffee before it is exported, so only the finest green beans are exported. Best Time for this Coffee! 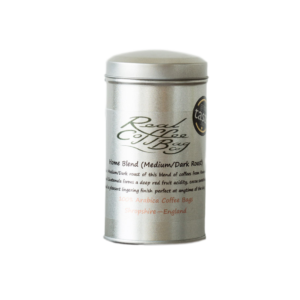 This is a perfect evening drink when relaxing by a roaring open fire.